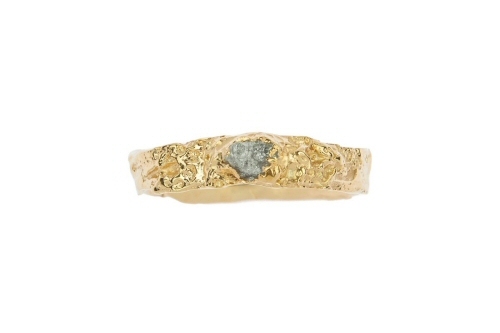 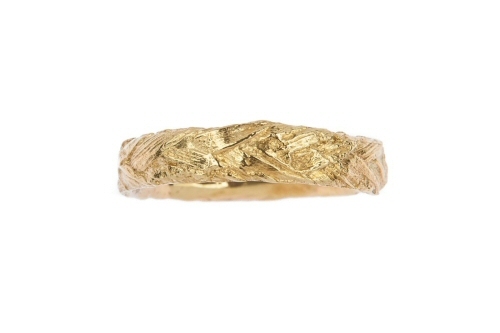 Fir tree twigs with gorgeous texture were found on a woodland floor and cast in solid 18ct yellow gold to create this ring. 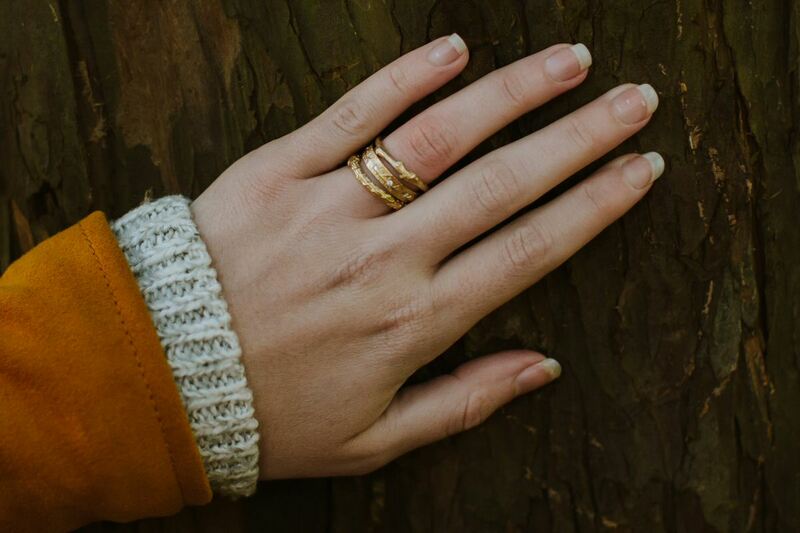 Every fine detail is retained, the raised patterns are from where pine needles once grew, preserved in gold to be worn for a life time. 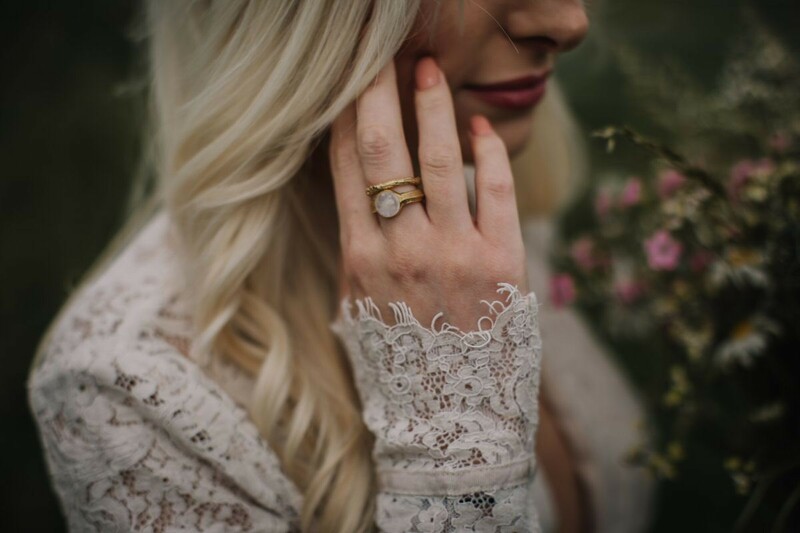 This ring can be worn on its own, stacked with other organic bands or paired with an organic engagement ring as a woodland wedding band. 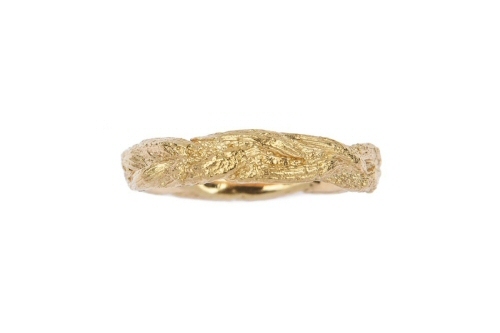 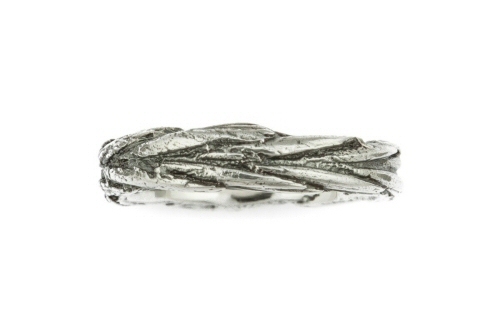 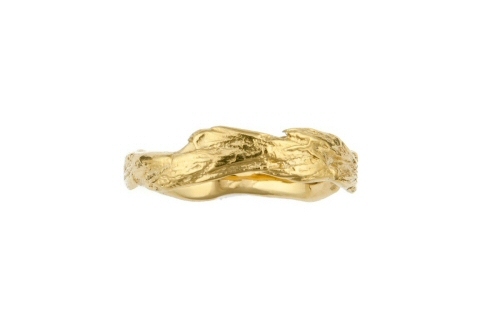 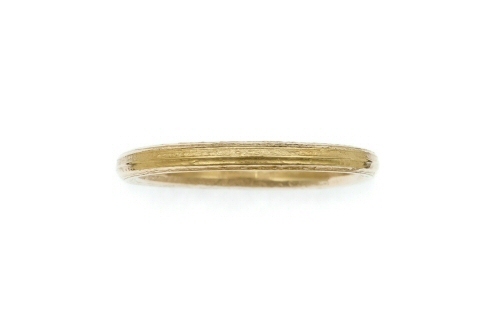 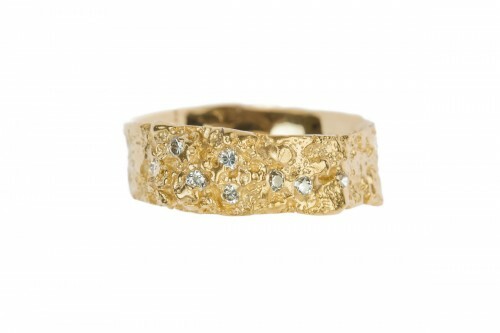 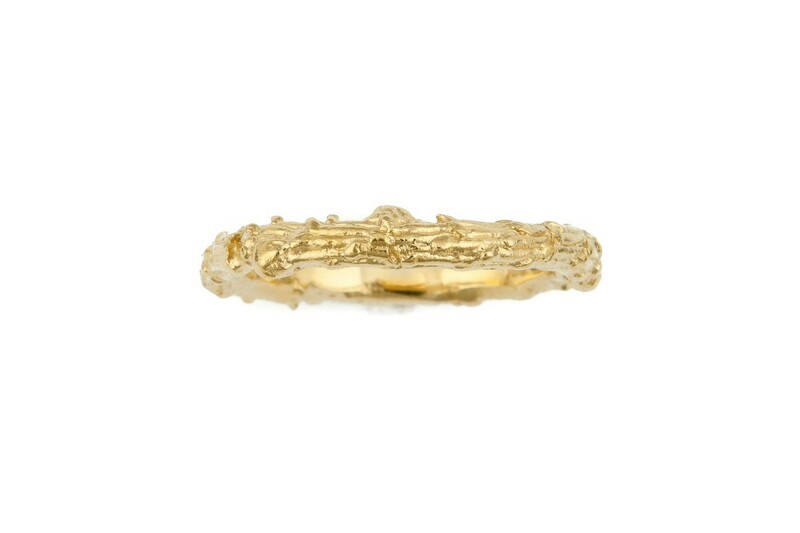 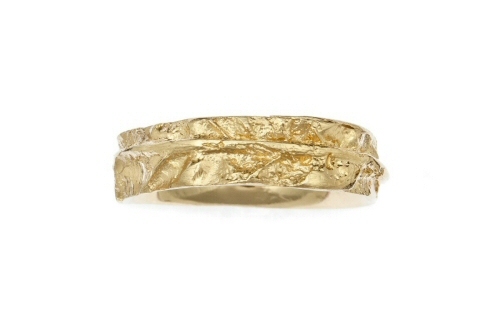 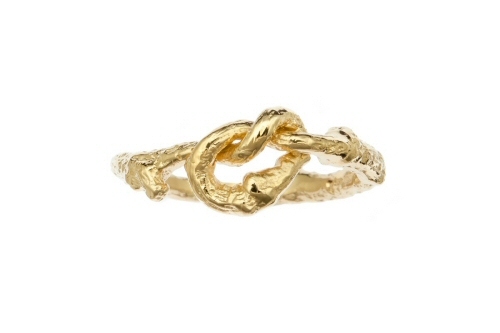 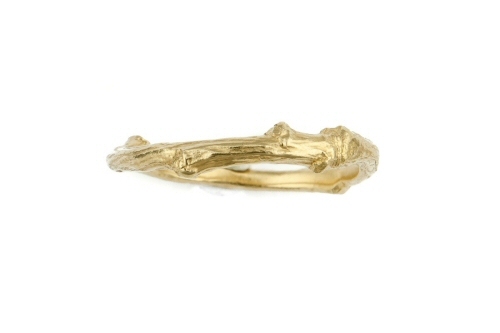 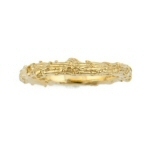 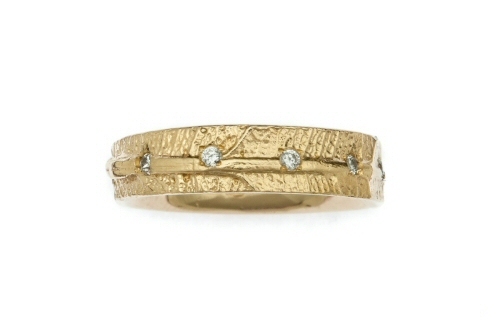 The gold fir tree twig ring is 3mm wide, handmade in Oxfordshire and hallmarked in Birmingham. 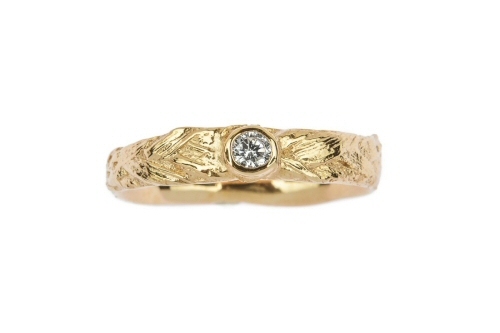 Plaited grass and diamond ring.